Some years on from their first album “The hunt is on”, the trio moves into a more philosophical domain. If you play this one quietly, you hear a delicate interplay of subtle ideas about melody and noise, harmony and space. If you play it loud, the intense energy jumps out of the music and demands attention for the different levels of interaction between all three. Perhaps in response to the more philosophical questions posed in the track titles of this album, there has to be an acceptance of ambiguity or uncertainty when it comes to some of the basics in language, truth and logic. But as performers, the musicians know that the best thing to do is still to have a good time anyway! So each of the tracks gives answers to the question posed by the album title of whether the Hunt (referring to first album) has been successful. Track 1 (Yes and no) comprises a sax/guitar duo with drums mediating and sometimes suggesting they should stop yattering “and get a bit of this!” It ends with a sort of question and a sort of resolution. So that’s clear. Track 2 (What is it?) finds sax messing about with some 12-tone patterns that most listeners would not interpret as such, an active sax drums duo, a delicious melodic sax guitar exchange, and a concluding ping. So there’s the answer. Track 3 (The guardians of truth) is clearly a very complicated issue both at the philosophical and practical levels, and it requires lengthy explorations of what on earth can be done with a bassoon (supplemented by several odd whistles), great variety and dexterity from the guitar and drums (brushwork and bells in particular), crescendo and diminuendo over multi-layered guitar figures to finish. Track 4 (Paradox and confusion): some believe these are the pillars of the gateway to truth, those things which keep truth obscured from us. Musically there is an eruption of feelings from the Trio: a delicate entry rising to the outraged fortissimo point. Is it really these pillars that cause such pain and sorrow? Then the necessary diminuendo, the resolution of tensions in the music, and a few moments of serenity to finish. This is another heartening example of continuing communications between players from different generations. How can such constructionists, deny a value so close to their heart, so akin to their input of concoction and abstract lingo, which speaks their notes so true? A second release by Mick Beck (tenor sax, bassoon, & whistles), and Hunter brothers Anton (guitar) and Johnny (drums). The storyline is as interesting as their music. Their debut was titled 'The Hunt Is On' (2014 - Discus Music), and this second release brings the band to answer, or attempt to answer, that very question of what is being hunted, with a number of possible results. Four extended compositions (following the same line up as their first) explore, and jump in and out of pockets, dart behind doors, walk past stop signs, and often stretch the limits of whatever surroundings are present. 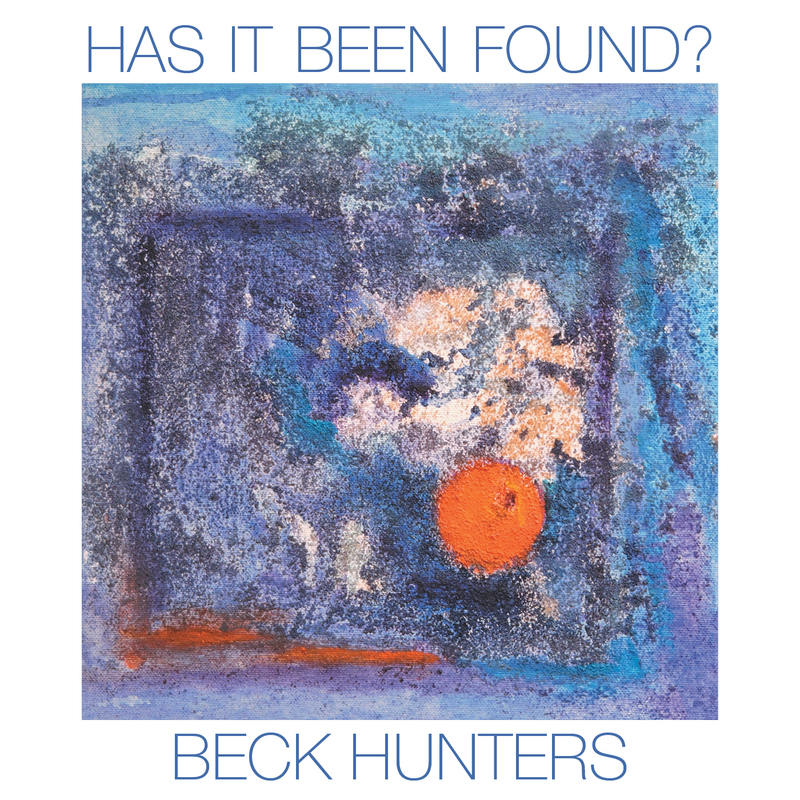 Beck Hunters‘ Has It Been Found? is all about improv. A trio of guitar, percussion and sax/bassoon, they have generated a series of responses of sorts to their 2014 album The Hunt Is On. Now I must confess, I sometimes struggle with some free music, particularly if it is too insistent and abrasive. There is a time and a place for it and you really have to be in the right mood. Beck Hunters are almost the antithesis. It is playful and sensitive and each player is so conscious of how their element will interact with the other two that you can almost hear them tiptoeing. That isn’t to say that they don’t know how to push the song along when needed and they are fortunate to have such a responsive and subtle drummer who know just when to hold back and when to let loose. The album is spread over four tracks of varying lengths (one is half an hour, but somehow never outstays its welcome) and you feel that these tracks have a natural length, subconsciously agreed on. Opener “Yes And No” has subtle, taut drums, playful sax and exquisite high-end guitar. It doesn’t feel too serious and the players are constantly testing one another, but always leaving plenty of space for the others to colour in. Sometimes you feel that there is a half-remembered tune in there somewhere, but they grow bored and nip off at a tangent. I kept having an image of a troop of fox cubs bouncing and play fighting, circling one another and zipping off into the undergrowth. “What Is It?” comes across like the aural equivalent of a magic eye picture. If you stare with your ears into the middle distance, everything comes together like some alchemical transformation. The whistle blasts that permeate the track are a bit of a shock, particularly as they are not afraid to drop to near silence. The twenty-nine-minute ‘Guardians Of Truth” really pushes the limits of the listener’s hearing. Some of the sounds slip out of the speakers like wraiths residing in a rambling mansion. Outside, young Victorian ladies are playing hide and seek in that indolent way of people with a lot of time on their hands while inside, we move through apparently empty rooms, fleeting snatches of movement seen out of the corner of our eyes. Back outside, the sax circles like an ominous bird of prey, the sound looms awkward and gnarly, but gradually diminishes to some half-seen, barely remembered image, the rustle of bells and tiny guitar notes signalling the conclusion.